Learn about the many ways you can be a part of Family. 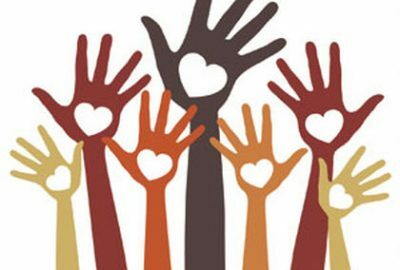 Whether helping out at one of our walk-in centers in Ellenville, New Paltz or Woodstock, answering the Hotline, working with our Events Team or helping to landscape or paint one of the shelters, volunteers show that people care. Family can always use help at our fundraising events. Have fun and help out at the same time! That simple human connection is a powerful healer. FAMILY welcomes volunteers all year round. You may know someone who volunteers with FAMILY already. Many of your neighbors staff our 24-hour Hotlines at FAMILY’S three Walk In Centers. Others garden, run food drives and provide professional services. They offer cooking and art classes and mentor our clients in their job searches. Volunteers give our services a very special quality. Volunteering at Family has tremendous benefits: It’s a great way to get to know people in your community. It’s a chance to learn new skills while making a difference. It’s a way to contribute where you live. Ready to get started? Join us this at our next volunteer orientation meeting. Contact Beth McLendon at 331-7080 ext 157 or bmclendon@familyofwoodstockinc.org to register.